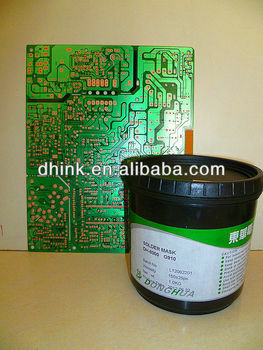 It is a one-part type of solder resist ink with high precision, solvent free and 100% solid content. DH-8000 is a one-part type of solder resist ink with high precision, solvent free and 100% solid content. Good adhesion and heat resistance.,accurate screen printing image with sharp edge and high accuracy can be transferred. Its good for high-speed printing process and hand printing process,and also be able to withstand the Lead(Pb) free refloat soldering process.